The same is true when it comes to the church and the things we do as the Body of Christ. Over the past two thousand years, many layers of “good ideas” and new programs have been added on by well intentioned people. As a result, the focus has shifted to things other than Christ. We have come to see those who attend as the audience, while those up front on the platform perform. Yes, the congregants sing along with the songs from the band, but most of what happens is designed to minister to us and bring in more people. Many would be shocked to discover that Jesus didn’t say a thing about marketing the church. Or for that matter, about programs designed to provide what other churches don’t or can’t, in an effort to win over people like they are religious consumers and the church is a service provider in the marketplace. A call has gone out, and continues to go out. It says to strip away the programs, the marketing and everything else that has been added on, and return to simplicity of devotion to Christ! Let’s gather as a spiritual body and worship with only one person in the audience — Jesus Christ. Let’s focus on love and spurring one another on to good works. Let’s get rid of the marketing plans and draw people to Christ by lifting Him up instead of what we have to offer spiritual consumers! It may be uncomfortable at first. After all, we have gotten used to some things that we like. But if we can get back to the basics, to the simplicity of devotion, we will be able to keep the main thing as the main thing. What does that look like? Well, here are some examples of things that are add-ons. Let’s dump D.L. Moody’s invention called the “sinners prayer” and go back to having converts accept Christ and ask for His pardon the way they did in the First Century. 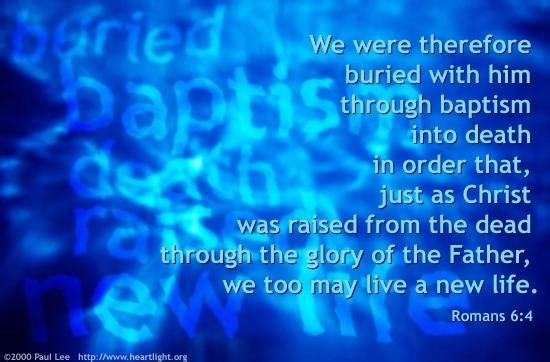 It was and is called baptism. The concept of an unbaptized believer is foreign to the New Testament. Modern churches have someone say a prayer, wait awhile, and make their faith public by water baptism. But in the New Testament, baptism was the sinners prayer. It is an “appeal to God for a good conscience (1 Peter 3:21) and the way sinners “called upon the name of the Lord.” Acts 22:16. While some will point to Romans 10:9-10, those verses have a context. Even the NIV Study Bible says they contain the early baptismal formula, required before one could be baptized like Paul had said earlier in Romans 6:3-11. There were also no choirs or instruments for the first 700 years of the church, in large part because they wanted to avoid being like the world. Singing without a choir or instruments means we all must participate sing to one another, and worship the One who is our sole audience. It is not that instruments and choir are evil. I have been in and used both. But it is a distraction, and if we aspire to be like our original brethren, they just don’t fit the paradigm of simple Christianity. Where can this simplicity be found? Well I can tell you where some are attempting to do it. It was the place I grew up in, left, and have come home to. I would encourage you to look for simplicity at one of the churches of Christ. I am part of a congregation that is striving to keep it simple, yet keep it in love. If you are in the Fox Cities area in Wisconsin, come on down to the Appleton church of Christ. We don’t believe in denominations because Christ is not divided, and denominations represent institutionalized division. We are just Christians worshipping and serving in simplicity. I like this comment a lot. It shows that free market capitalism doesn’t necesarily apply to the church because the church doesn’t exist for money or headcount. The church exists to ferry souls on their journey to heaven, meaning, the church is here to serve the purpose of helping individuals go to heaven. Sometimes, standing up for the truth will lose a group followers. Jesus was no exception, standing up for the truth got Him into plenty of trouble. We shouldn’t be trying to do things to get the most heads, but trying to do things that will be most pleasing to God through the simplicity of the Scriptures. I’m not sure why, but reading your post made me think of a great big revival meeting. An old-style evangelistic tent revival would seem to be about as simple of an expression of “church” without all the glitz and glamour of a typical church service that most of us are probably familiar with. There have to have been hundreds if not thousands of revivals over the centuries. And yet, to my knowledge, not one revival has continued on. They come. They go. So, why does this simple expression of faith not continue? Well, perhaps it does in the life of the saved soul. But given that these revivals don’t individually sustain themselves, perhaps they’re not intended to build up the body of believers i.e. the church. I don’t know. Perhaps I simply find church more pleasant when there is music, fellowship, coffee & sweets in the narthex and a whole host of other accouterments that make a worship experience more desirable. Could it be that all of these things actually help us to better come together and serve one another in community as a body of believers? Or, is my ignorance showing and am I fooling myself in ways I can’t even comprehend?